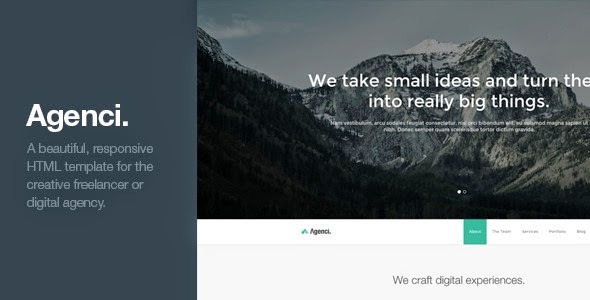 Agenci is a beautiful, responsive one page HTML template for the creative freelancer or digital agency. Item Reviewed: Agenci One Page Responsive HTML Template 9 out of 10 based on 10 ratings. 9 user reviews.